If the Grenada Beaches Spiced Up You Life indeed, or if you would love to learn how to make this a reality, then please Subscribe to Grenada Beaches! Grenada is a special little corner in the south of the Caribbean, with magnificent beaches, mouth watering cooking, and the warmest people you can find anywhere. Grenada is dieing to rekindle your fire, rejuvenate your soul, and Spice Up you Life! This site is always changing to reflect all my new, and exciting adventures in Grenada. 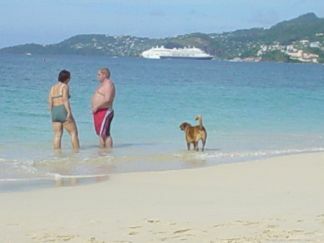 To stay in touch, and never miss the good stuff please Go to the Subscribe to Grenada Beaches page.